Complexity, speed and constant change are all used to describe our current society. Government entities and public administration professionals face the challenge of needing to evaluate their respective environments and develop ways to modernize so as to keep up with the continuously evolving world. The capacity to deliver quality public service depends on the ability to modernize and use technology effectively. Government entities are typically not viewed as efficient providers of services. Even so, citizens rightfully expect their governments to deliver services that meet their needs and that are managed as economically as possible. Therein lies an important challenge – how to efficiently deliver services that address citizens’ needs? During the past several years, technology has become a prevailing solution to the challenge of delivering public value efficiently. Scholars, policy makers and practitioners alike have promoted the use of e-government as an approach that meets this purpose. Examples of e-government include e-tax, e-health and e-transportation. A recent publication by the U.N. Public Administration Programme sheds valuable information on topics such as progress in online service delivery, e-participation, and how to bridge the digital divide. According to this survey, the Republic of Korea, Australia, and Singapore are the world’s e-government leaders. The United States is ranked seventh. 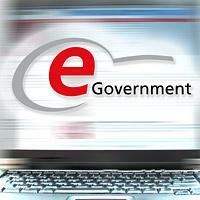 Other leading organizations that have conducted research on e-government are McKinsey and RAND Corporation. Government entities such as The U.S. Office of E-Government and Information Technology (E-Gov), the U.S. Department of Labor, and the U.S. Department of State have advanced the service delivery transformation process by developing information technology capabilities that in turn enable them to enhance their delivery of services while making it easier for citizens to interact with government. E-governance is the application of information and communication technology (ICT) for delivering government services and exchanging information. Through e-governance, government services are made available to citizens in an efficient, convenient and transparent manner. Suddenly, through (G2C), (G2B), and (G2G), citizens, businesses, government officials and interest groups can have swift access to government services. E-governance defines and measures the impacts that used technologies are having on government administration as well as how the relationships between society and public entities are being enhanced through technology. Moreover, e-governance encompasses a methodological process for government agencies to develop, manage, and administer the implementation of e-government services. Accenture, a management consulting and technology firm, has produced an informative report that explains how using new technologies can strengthen relationships with citizens. While e-governance is fundamentally appropriate and useful in improving communication between government and citizens, increasing transparency for better governance and increasing public sector productivity, we must also discuss the important relationship between performance management and e-governance. The interaction between these two requires consideration. Performance management encompasses activities that ensure that goals are consistently being met in an effective and efficient manner. Performance measurement in government is related to accountability. Hence, governments ought to consider designing methods and using best practices that measure performance in relation to clear and specific objectives and nurture a performance management environment. There is cogency in the adage that “an efficient government is a better government.” Yet, performance management adds the effectiveness component. Consequently, citizen feedback has become an important part of performance measurement systems because it reflects the effectiveness of service delivery from the viewpoint of local residents. Improving public sector delivery of services and increasing the ease and speed of access are necessary to improving the relationship between government and citizens. However, the active engagement of citizens is critical to developing e-government services that are both efficient and effective. Supplying more efficient and effective government services also requires using strategic management concepts, operational review and analysis, monitoring and evaluation practices and change management approaches. Information and communication technology is critical for delivering efficient service. On the other hand, performance management practices support e-governance by providing measurements and processes that evaluate the effectiveness of e-government programs. Provide a means to see if the strategy is working. Focus administrators’ attention on what matters most to success. Are explicitly defined in terms of what, who, when, why, and how they will be measured. Are valid, so as to ensure measurement of the right things. Are verifiable, so as to ensure data accuracy. Does the e-governance approach reconcile the views and needs of the stakeholders involved? How can public administration professionals measure whether the e-governance solution has reached the intended beneficiaries? What are some ways we can envision monitoring and evaluating the effectiveness of an e-governance approach? Based on specific measurable goals. Inclusive of user experience feedback. It is also suggested that empowered product management teams (Web developers, IT architects, etc.) be used to manage the process and make necessary decisions and adjustments. E-governance is expensive. Thus, it is important that public administrators use strategic planning, performance management and monitoring and evaluation practices. Performance management allows us to plan and budget efforts, measure, benchmark, evaluate progress and identify areas where adjustments need to be made. Take into account proper context. Be aligned with e-governance goals and objectives. Measure both efficiency and effectiveness of the e-governance initiative. Link performance management to other governance systems. Is made available online to the public. An organizational infrastructure that supports the project. An organizational culture that accepts change. Governments have embraced e-governance in their quest for finding ways to deliver efficient public services. Performance management is instrumental to the e-governance approach of enhancing access, transparency and communication between government and citizens. Author: Byron Ramirez is a researcher, analyst and business school professor. He is a Ph.D. candidate in economics and political science at Claremont Graduate University. He earned a master’s degree in management from the Drucker School of Management. His areas of research include strategic management, sustainability and innovation. Email: [email protected].